Dominion Sample is a vertically integrated sales and marketing solutions company. We follow a proven system of Project Management. In addition, we provide fulfillment and distribution services, as well as web consultation, design and management. The first step is to gain a thorough understanding of your requirements. Our expert designers and talented graphic artists can create a unique and highly functional sampling product to meet your marketing needs. Whether we use our six color offset press, or our state of the art digital presses, you can be assured of crystal clear high resolution of any image. 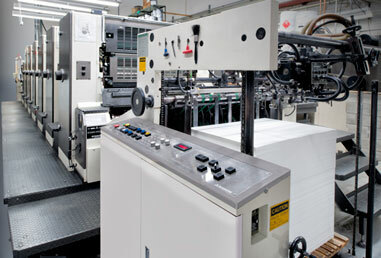 Our automated die cutting, binding, collating or swatching equipment assures you of outstanding quality, speed of delivery and competitive pricing. We offer a wide range of binding options including wrapped covers, raw edge, magnetic closures and more. Film coatings offer an elegant finish as well as superior protection where heavy use is anticipated. We are experienced in using a wide range of materials; leathers, wood, plastics, as well as any grade of paper board. Each operation is carefully monitored by QC experts.